The first is a deal that came across my desk that I had to tell the world about. 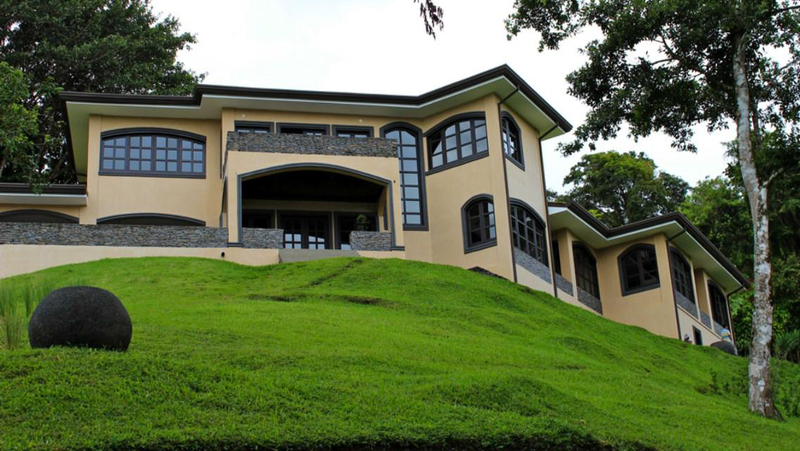 This Lake Side Estate on lake Arenal is brand new and over 5000 square feet of construction. It sits on a subdivided parcel with room on the property for a small collection of estates to join it on the 6.2 acre estate sized property. The parcel sports an organic garden and 100's of plants already landscaping the property. The estate was priced at $2.85 million but is now bank owned and fire sale priced at $1.4 million dollars. The construction is exquisite and would make a great retreat, wellness center or private estate with room for an extended family in the generous 5 bedrooms and 5 full baths. 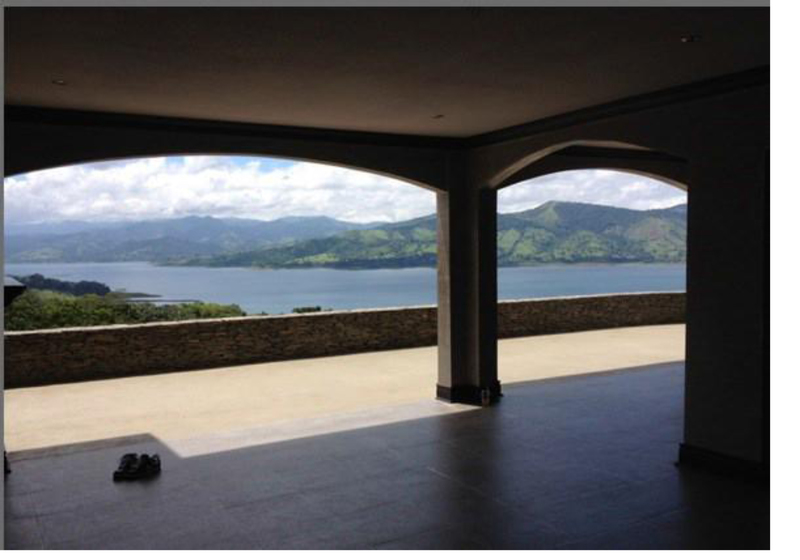 With room to build 3 more estate sized homes, this property consists of 4 different segregated parcels and is one of the finest along Lake Arenal. The property is brand new and unfurnished, just waiting for the new owners personal touches. The views from the bedrooms, living room and second floor office are world class. 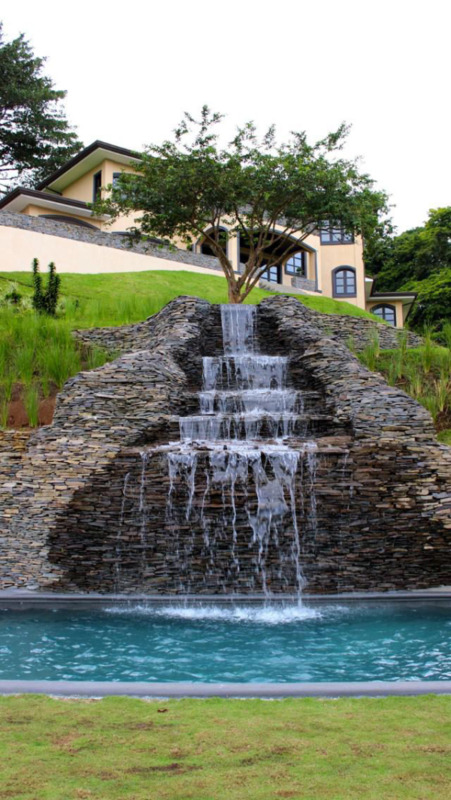 The natural stone waterfall is stunning and with additional landscape lighting it would be incredible. Lake Arenal is without question, one of the more beautiful areas of all of Central America. The lake is located in the north central region of Costa Rica in a mountain range named Cordillera de Tileran, approximately one and one half hours from Liberia International Airport and the Pacific coast beaches and three hours northwest of the capital of San Jose. Lake Arenal, 22 miles long and one mile wide is a crystal clear, pristine, freshwater lake at an elevation of 1,500 feet. The lake maintains a year round temperature of 78F or 26C. There's great fishing for peacock bass in the lake that can reach 14 pounds. It's also a great area for wind surfing or general exploring. If you have interest in other distressed or investment parcels, see our website for a list of investment bargains. We currently have a 925 acre parcel near Manuel Atonio priced at $1.3 million dollars as well as nearly 282 acres priced at under $1000 per acre priced at just $275,000. Land values like these are not available often and won't be for long.